The Junior League of Wichita Falls is a diverse and dynamic group of talented women who share a common desire to improve the quality of life in Wichita Falls. For over 40 years, members have taken the lead in identifying needs and developing collaborative partnerships for community enrichment. 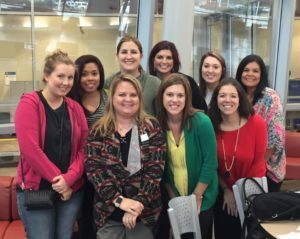 Members of the Junior League of Wichita Falls receive intensive training to equip them for skilled leadership roles both within the community and the organization. This commitment to provide effective action and leadership through trained volunteers is what sets the Junior League of Wichita Falls apart from other community service organizations. 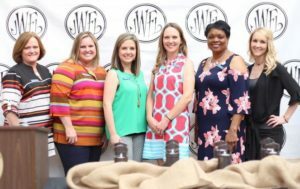 The Junior League of Wichita Falls is committed to supporting a number of community projects, both through financial provision as well as volunteer assistance. With over 380 active, provisional and sustaining members, the organization contributes over 17,000 volunteer hours and $100,000 annually to the community. Projects are selected by the membership based on need, and focus primarily on the areas of youth and human services. Since 1969, the Junior League of Wichita Falls has been a member of the Association of Junior Leagues International. The purpose of the Association is to unite memberLeagues and to provide comprehensive consultation, training, and support services to enhance the leadership of the 294 member leagues, representing 171,000 women throughout the United States, Canada, Mexico and Great Britain.